Don't these guys ever sleep? 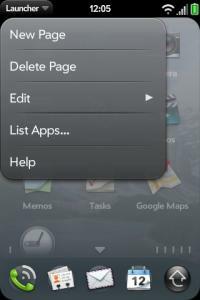 It would seem the ever-growing community of WebOS ROM explorers has come across a few small hidden gems that leave us scratching our heads as to why Palm would exclude them from the current release of the webOS. They've even managed to enable these features (though a rooted Pre is required). First up there's a very handy call duration labeling system for the call log that appears to be disabled by default. You can find the instructions to flip the switch over at the PreDevWiki. It's interesting that this feature is fully developed and installed, but ships disabled, but it would make sense if Sprint did this by choice - less conscious awareness of how much you talk generally keeps you using up you minutes (and enables the carrier to charge you painful overage fees). The second hidden feature is something many of us have wanted since the Pre was released: the ability to add and delete pages in the launcher. A detailed page of setup instructions and usage details can be found here. Why this feature would be completed but hidden away is a complete mystery to me. It could be for simplicity's sake (Palm didn't want to bog down new users to the OS) or maybe it was intended for a future release along with other launcher features and they just wanted to bundle things together. Either way, enabling this neat little bit of functionality can prove incredibly useful, especially if you're fond of the "Add to launcher" contacts and browser feature. 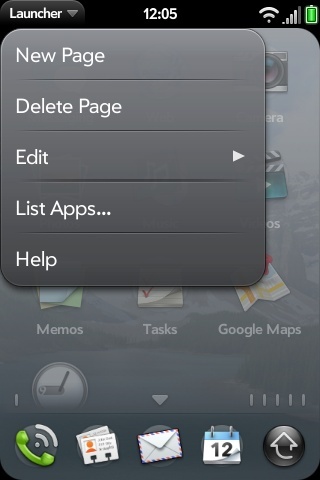 Hopefully Palm will enable these by default in future OTA updates of webOS. But in the meantime, if you're impatient and don't mind going through the rooting process, feel free to try out these mods on your own. Just don't tell them we made you do it.